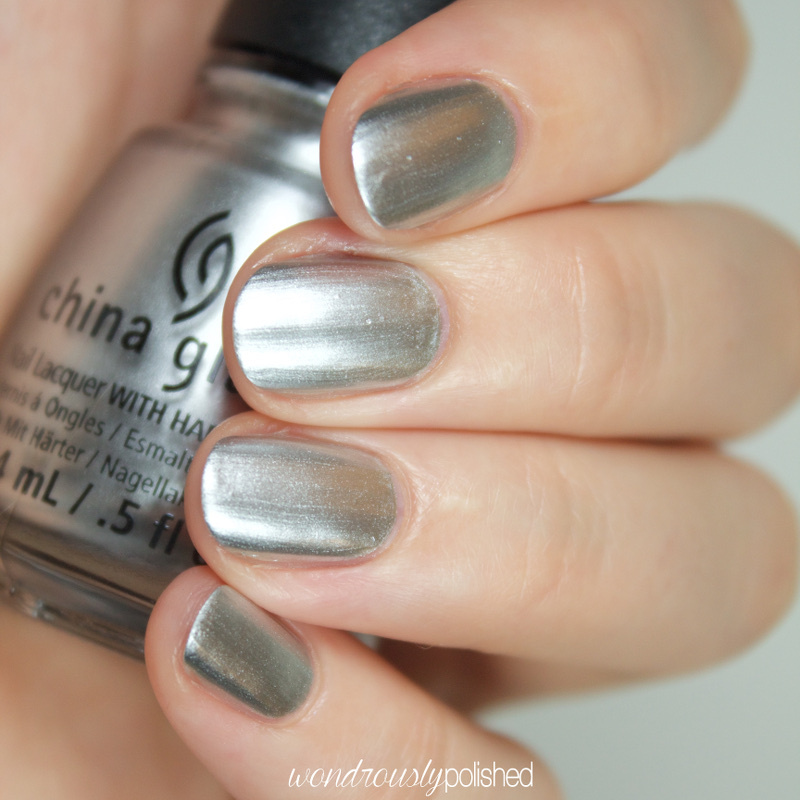 I'd Melt For You is a silver metallic polish which a chrome like finish. While this doesn't dry to a completely smooth finish, it shows far fewer brush strokes than I was expecting it to and the formula was very easy to work with. It does still show all imperfections in your nail, so shown is 3 coats to avoid seeing my nail ridges. Out Like a Light is a dark (almost black) charcoal grey creme. No surprise here, this is one of my favorites of the collection! The formula was amazing (almost a one coater!) and shown is 2 easy coats with top coat. Meet Me Under the Stars is aptly named! It's a black and silver micro-glitter that makes you feel like you have the whole universe on the tips of your fingers. 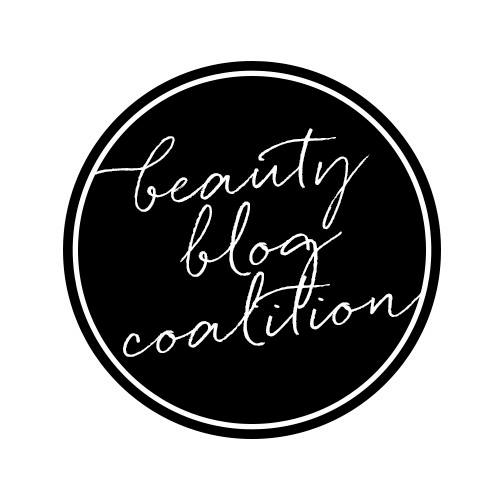 It's beautiful and was so incredibly easy to apply and work with. Definitely going to use this for a galaxy mani in the near future! Shown is 3 coats, though depending on your application, it's possible to get away with 2, though there might be a little bit of visible nail line. No Peeking! is an eggplant metallic shimmer that is able to hide the brushstrokes relatively well. It reminds me of some of the shades from last year's Autumn Nights collection, though I think I like this better than the ones from last year. This is much more subdued. The formula was great and shown is just 2 coats with top coat. 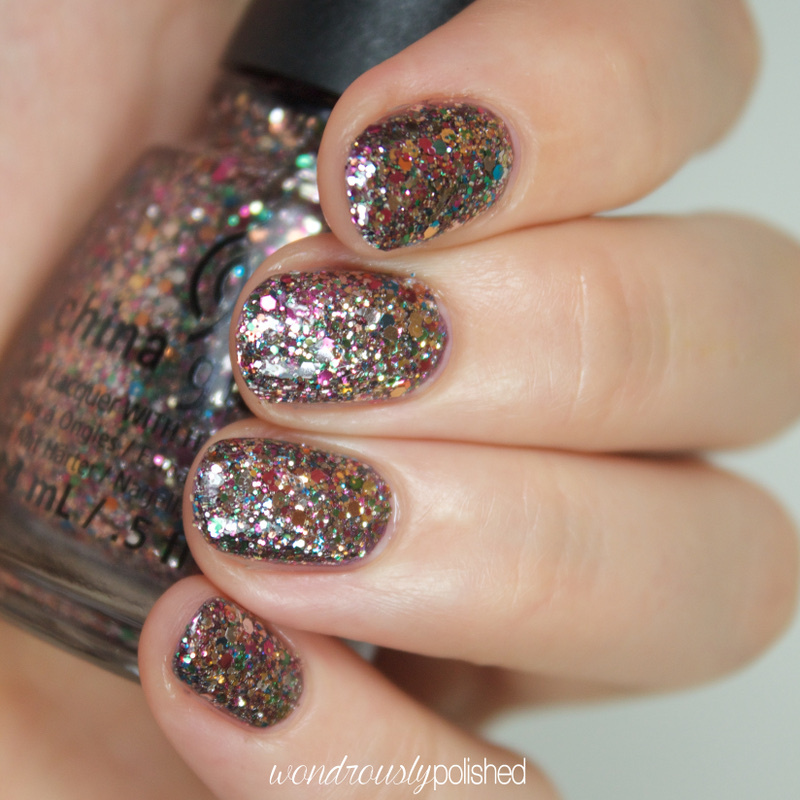 Dancing & Prancing is a holiday glitter bomb packed full of silver and multi-colored hex glitter. This had a very smooth application and it was easy to build coverage. Shown is 2 very generous coats over No Peeking!. Define Good...is the other metallic shimmer in this collection and yet again reminds me of last year's Autumn Nights collection. This one is a deep shimmery cranberry with almost burnt orange undertones. It's quite lovely. The formula was like that of No Peeking! and shown is 2 easy coats with top coat. 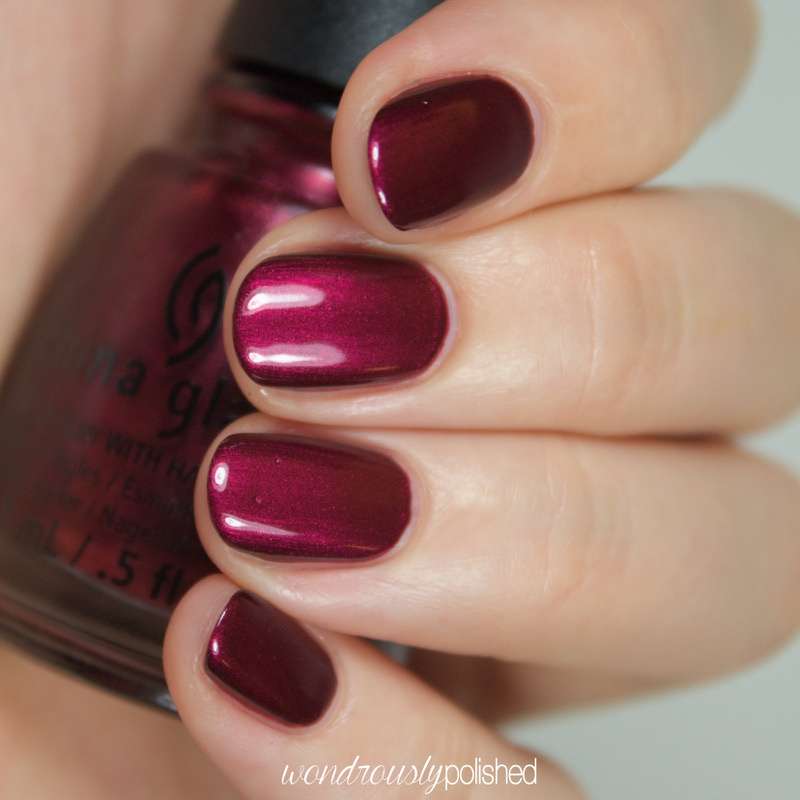 Tip Your Hat is a stunning deep cranberry red creme that is to die for. 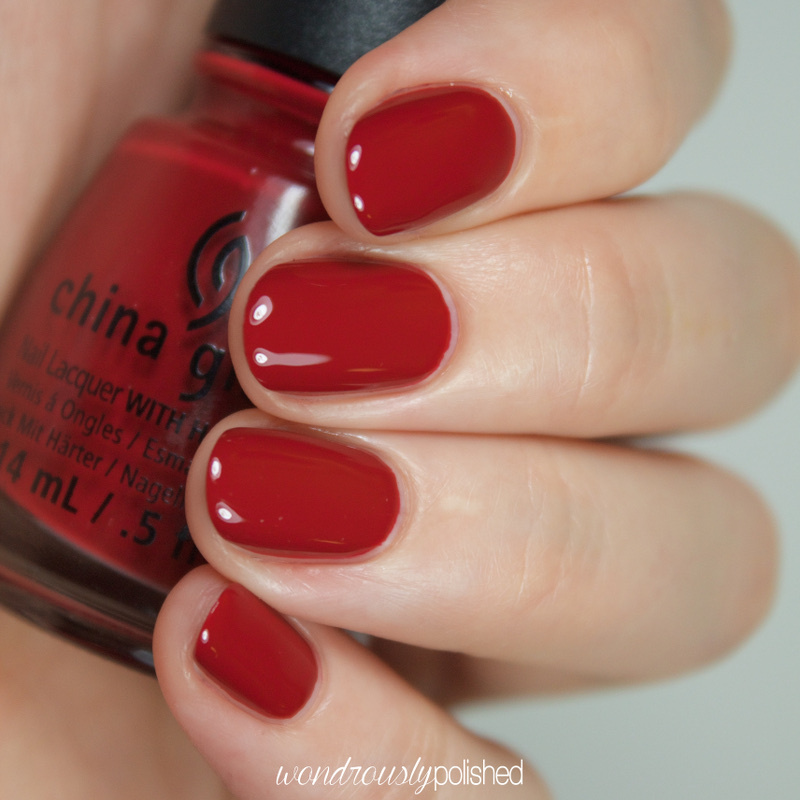 You may know by now that I'm not usually one for reds, but this is so beautiful and classy and timeless. A perfect red for the holidays. The formula was perfection; self-leveling, easy application and just 2 coats needed. Love this one! 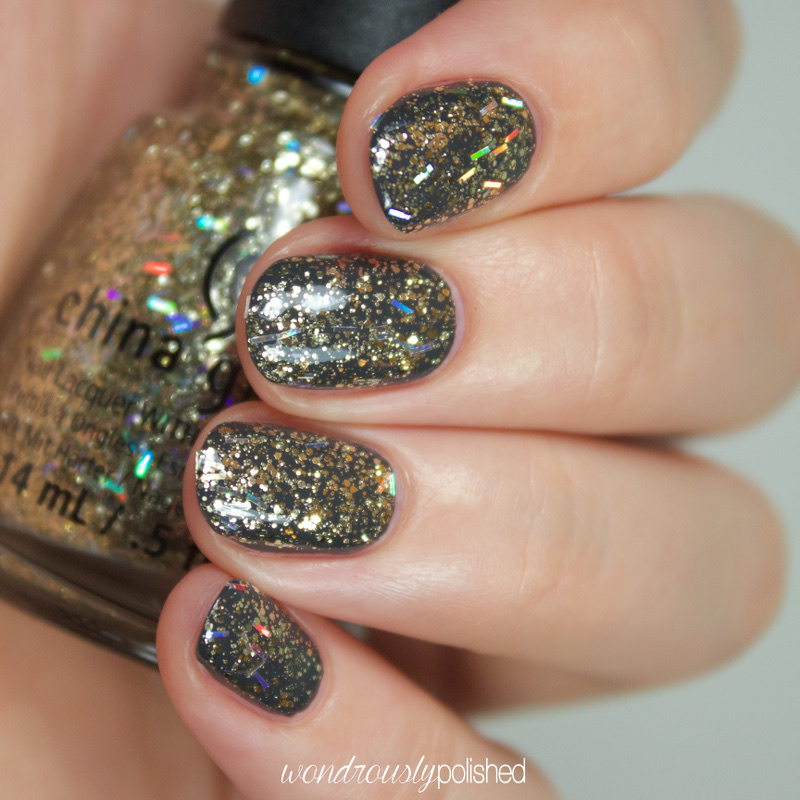 De-Light is another glitter topper full of gold micro glitters and holographic bar glitters. I'm not a huge fan of bar glitter, but these are subtle and not too overwhelming in the polish which is nice. This one might be build-able to full opaqueness, but I've shown one coat over Out Like a Light. 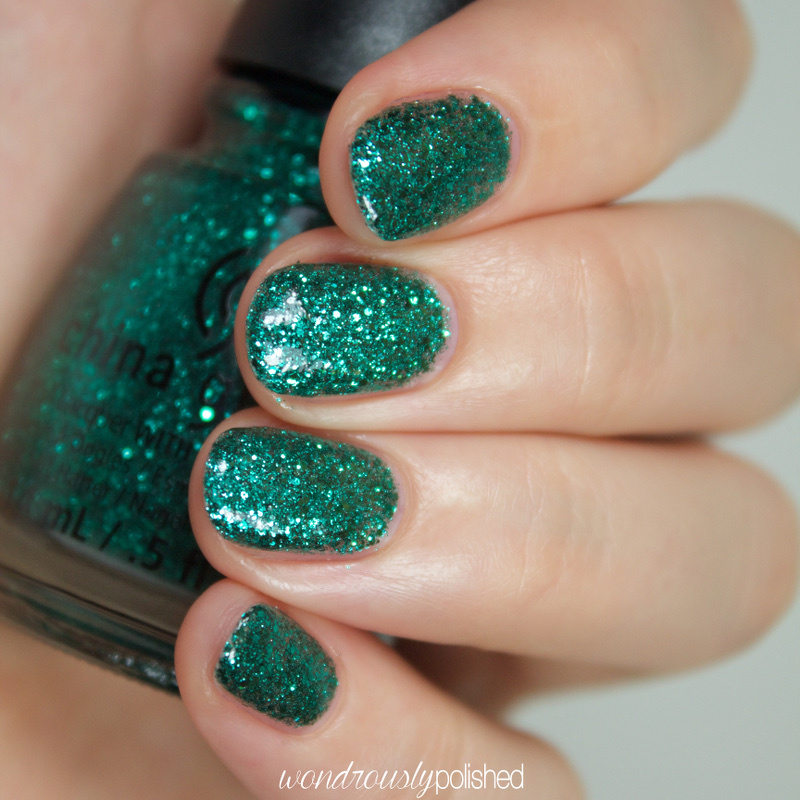 Pine-ing for Glitter is super pretty pine tree green with a touch of gorgeous teal. It's like a Christmas Mermaid! This is a super dense micro glitter in a clear base and I've shown 4 thin coats by itself. I could have gotten away with 3 coats, but I really wanted to see the glitter opaque. 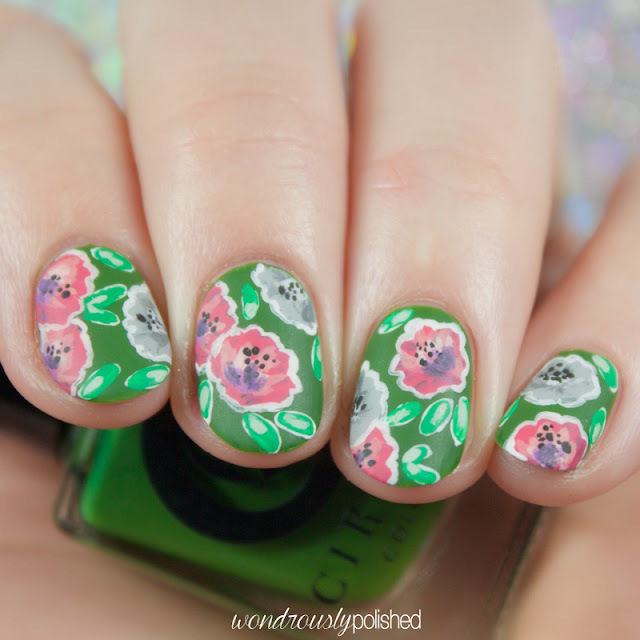 The formula was easy to work with and didn't feel too thick on the nail which was nice (especially at that many coats!). 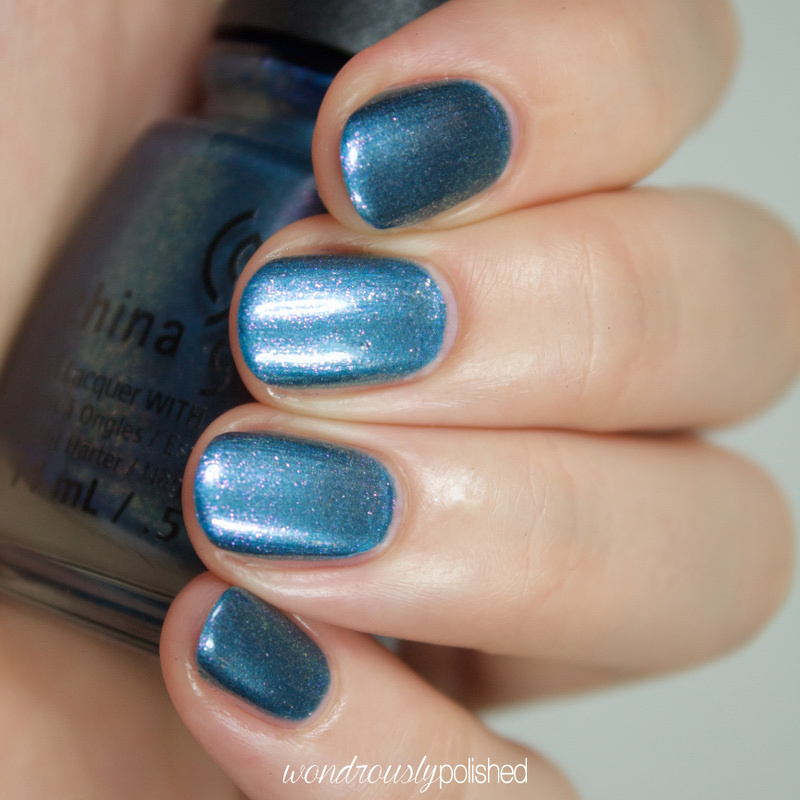 Felling Twinkly is the blue version of Pine-ing for Glitter, only with finer glitter. It's very similar to CG's Water You Waiting For, but this is strictly fine blue glitter where WYWF has some teals and purples in it. Anyway, Feeling Twinkly is super easy to work with and reaches opacity in 3-4 coats. December to Remember is a wintery blue shimmer with teeny tiny iridescent flakies that shift between fuchsia and copper. At first glance, the flakies sort of disappear on the nail, but if you look closer in the right light (ie not direct light) you can really see them! The formula on this was pretty thin (polish was dripping off my brush stick when I was painting my nails) so be cautious about how much polish is on your brush before you apply it to your nail. Shown is 3 coats with top coat. 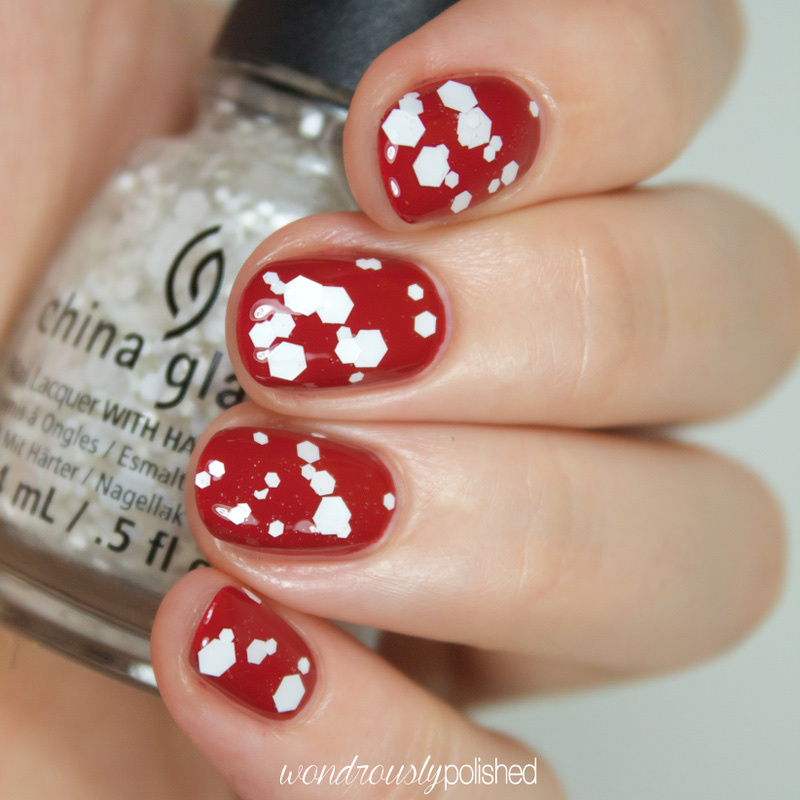 Chillin' with My Snow-mies is a simple snow inspired glitter topper with small to large white hex glitter in a clear base. Kudos to whomever named this polish! It made me chuckle ;) This is definitely a topper as there is no hope for reaching opacity with this one, but it's a fun polish for the season. This one was a bit of a pain to apply and I had to fish out all the glitters by tilting the polish to the side. Shown is 1-2 coats over Tip Your Hat. Overall, love this collection. Some of the polishes might be a bit tricky to work with (like the glitters) but they are generally easy to use. 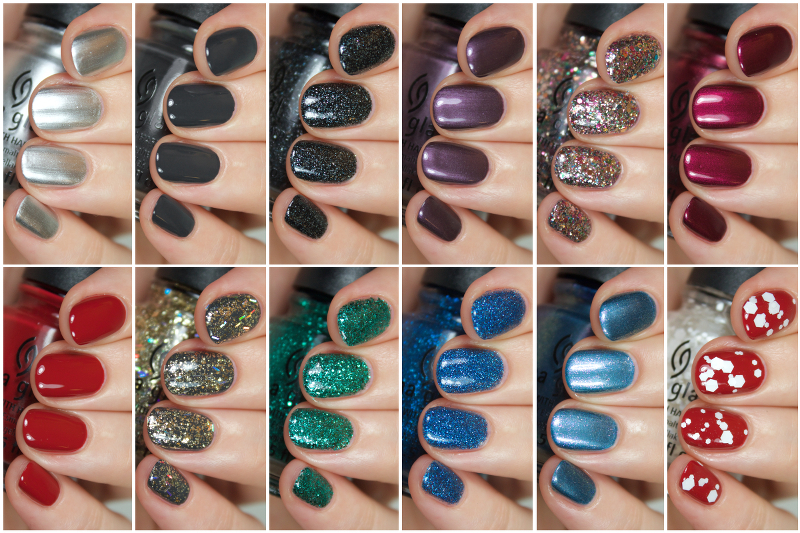 You can purchase the Twinkle collection now from your favorite Ultas, Sally's, or online e-tailors! Check out the full list of sellers here. What do you think of this collection? Any favorites? Be sure to follow China Glaze on your favorite social media site to stay up to date on the latest collections and promotions!